Image: Play-Doh. Design: Kenzie Mastroe/SheKnows. Everyone can agree that keeping kids entertained is a challenge, right? And most parents can also agree that Play-Doh is a reliable go-to when you need you to keep your kid preoccupied for a while. 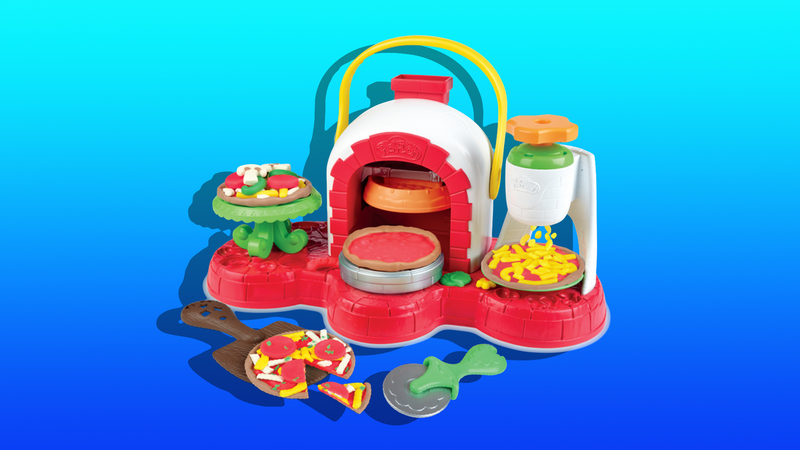 Well, boy, do we have news for you because Play-Doh’s two brand-new pizza and popcorn play sets are about to make Operation Keep-Your-Kid-Entertained a whole lot easier. According to Delish, who exclusively announced the news, Play-Doh will release two play sets nationwide this fall, the Stamp ‘n Top Pizza and Popcorn Party play sets. Both are priced at $19.99, and they’re too cute for words — unlike the bizarre Play-Doh Doctor Drill ’n Fill toy that should have been vetoed immediately. For kids ages 3 and older, both sets are bound to keep kiddos — and parents — entertained for hours. The Stamp ‘n Top Pizza set comes complete with everything little ones will need to make their own pizza pie, including tools to stamp a pizza crust, a tiny pizza cutter and a carved paddle, and popular pizza toppings, like cheese, pepperoni, veggies and more. The best part is kiddos can “bake” the pizza in the pizza oven. As for the Popcorn Party set, kids can make a small, medium or large bucket of popcorn — filled with their choice of buttered or plain popcorn — and top it all off with sweet and salty treats, like chocolate and pretzels. There’s even an adorable chocolate dispenser so kids can squeeze a chocolate icing onto the popcorn. Plus, the popcorn play set comes equipped with a popcorn scoop. No further details have been released, including a preorder option, so keep your eyes peeled for that in the coming months.